Home / Articles by Njkinny / Indian Festivals / What is Lohri? Know why and how it is celebrated on 13th January every year. 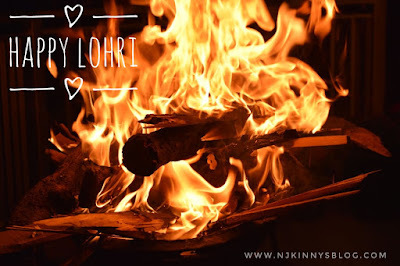 What is Lohri? Know why and how it is celebrated on 13th January every year. Lohri is a harvest festival celebrated in the Northern part of India by the Punjabi community each year on 13th January. The festival is a major one for Punjabis and the celebrations are a sight to watch, especially in the state of Punjab where large scale gatherings are organized with people coming dressed in colourful clothes and dance performances performed that are practiced since days before with lots of music, good food and happy bantering. Celebrated with pomp and cheer, this festival signals the end of winter and start of spring season. A festival associated with the Solar calendar, the Earth leans towards the sun along the Tropic of Capricorn from the day following Lohri. The farthest part of Earth that has been away from the Sun starts shifting towards it and thus, signals the onset of Spring. It is this transition that is celebrated as Lohri in North India, Makar Sankranti in Central India and Pongal in South India. 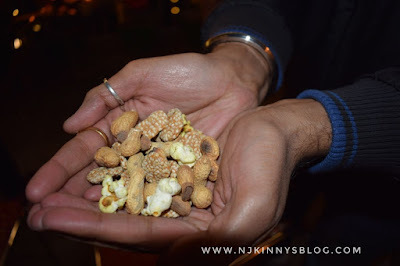 While Lohri is celebrated on 13th January, Makar Sankranti is celebrated just the next day either on 14th January or 15th January (like this year). Pongal is a three day harvest festival that is celebrated in South India from either 13th to 16th January or 14th to 17th January. Fire is worshipped on this day by lighting a bonfire around which people dance, circle (perform Parikrama) and offer puffed rice, popcorn, peanuts, rewri, gur, gajak, til etc. as offering to the fire which signifies the spark of life. Blessings are sought for better harvest, good health and happiness in the family for the new year. People circle around the bonfire and offer puffed rice, popcorn etc. to the fire. Lohri gains more significance in a family where there has been a marriage or the birth of a child. These families celebrate Lohri with greater enthusiasm as this would be their first Lohri and is considered very auspicious. Friends and family gather dressed in traditional, colourful dresses to sing, dance, seek blessings and eat fine food prepared for this occasion. Bhangra (a popular dance style in Punjab) and Gidda (a popular dance style in Punjab) performed on the beats of Dhol (an instrument); lots of laughter and light teasing reign on this day with drinks and eateries relished by everyone. Guests are served all sorts of delicacies in Dinner and greetings exchanged along with strengthening of old associations and formation of new ones! In some parts of Punjab and Haryana, this day is also celebrated with girls, women and children going door-to-door singing Lohri songs and seeking Lohri which is some form of donation either as sweets like rewri, gur, gajak, til etc, peanuts or as cash. 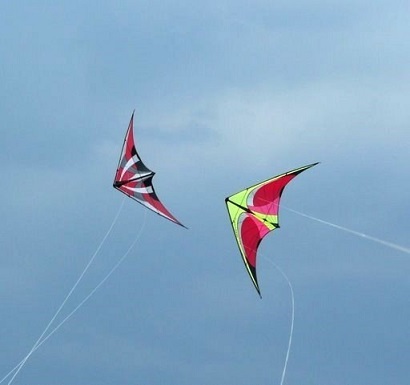 Children fly kites on this day with many competitions held to judge which kite perseveres the longest in the sky with others trying to take it down! The sky is filled with colourful kites and the happy cheering of crowd. 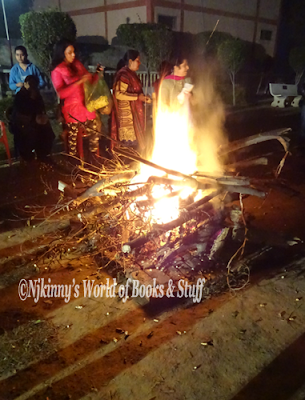 What is the Folklore around Lohri? This song is sung in remembrance of the bravery of Dullah Bhatti who saved a girl from the clutches of some unsavoury men, adopted her as his daughter and married her off to a respectable man, performing all the responsibilities of a bride's father. Later he was murdered by the same unsavoury men. This is one of the many variations of Dullah Bhatti's story of his brave and selfless act but the base of the story remains the same that he was a good man who protected a helpless girl in her hour of need just like a father protects his daughter. This incident happened in the harvest season. So it is believed Lohri is celebrated to commemorate Dullah Bhatti's bravery and so this song is sung with much cheer and joy around the bonfire with chorus of "Ho!". Lohri is all about celebrating the previous happy year, being with loved ones, thanking God for the prosperity bestowed and praying for another glorious year ahead. A festival that has become a way of life for people in Northern India especially in Punjab, this festival is all about being thankful for the happier times and celebrating the bonds of brotherhood. Have a lovely Lohri and may all your wishes come true this new year!